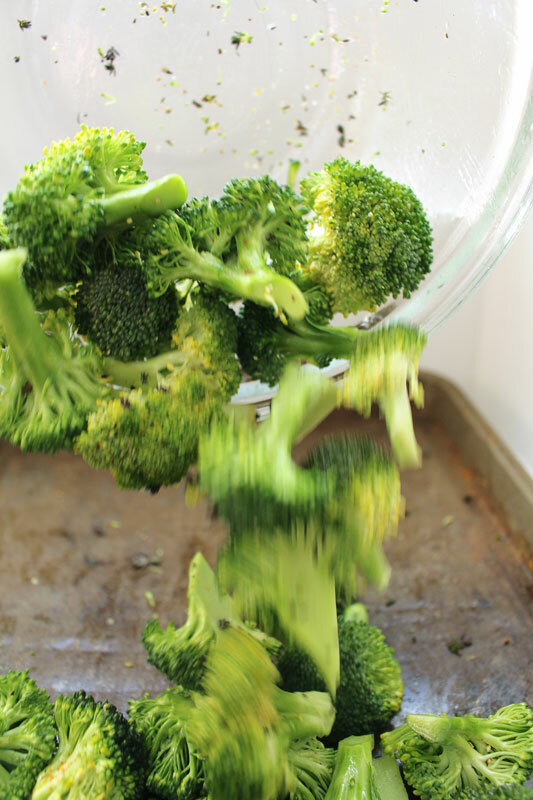 Let’s talk about three ways to cook broccoli: steaming, boiling, and roasting. I definitely have a favorite. Do you? I tasted all three after I’d cooked them and wasn’t surprised that roasted was my preference. Also wasn’t bewildered that steamed was second. And, it was no shock to me that boiling was my least. That’s not to say that I won’t eat broccoli all three ways. I have and will probably do so again. But, I think that the taste and ease of preparation, hands down, goes to roasting. 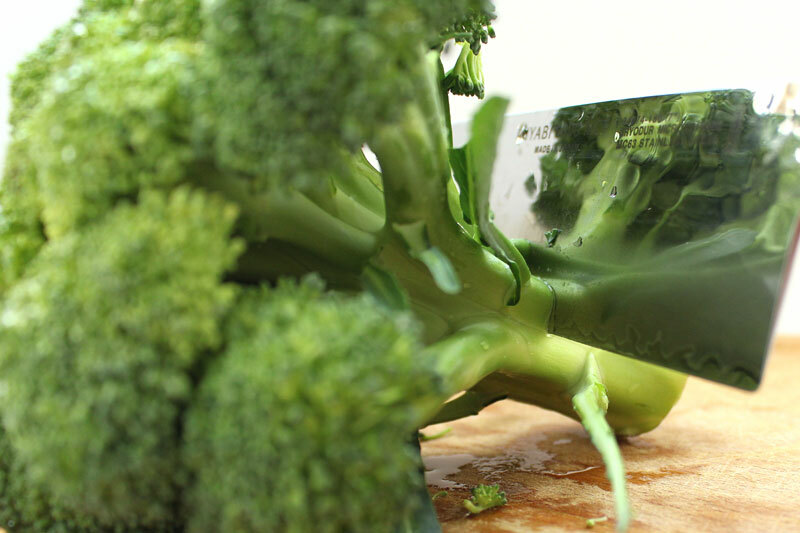 Wash broccoli, then cut off a bit of the stem, up about an inch (save discarded stem to make vegetable stock). Make a second cut where the florets start to branch out. 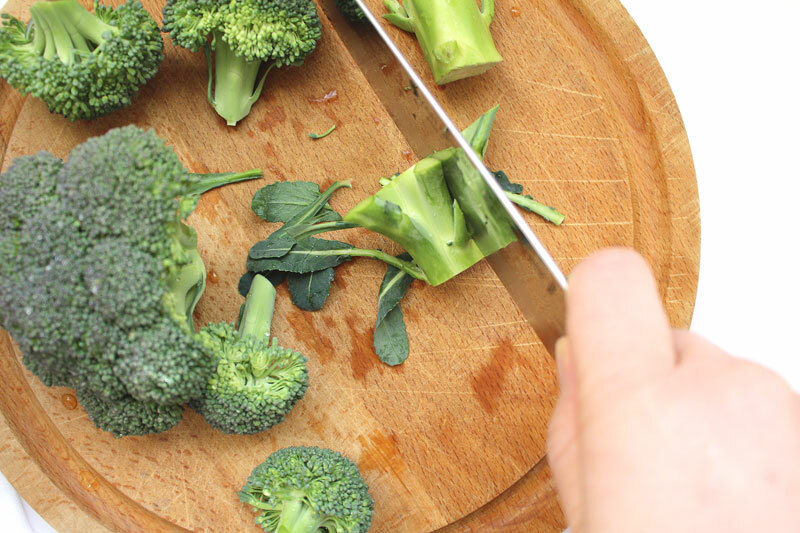 Cut away the tough outside edges of that piece of stem (saving for veggie stock) – you can eat the inside just like you’ll eat the rest of the broccoli. 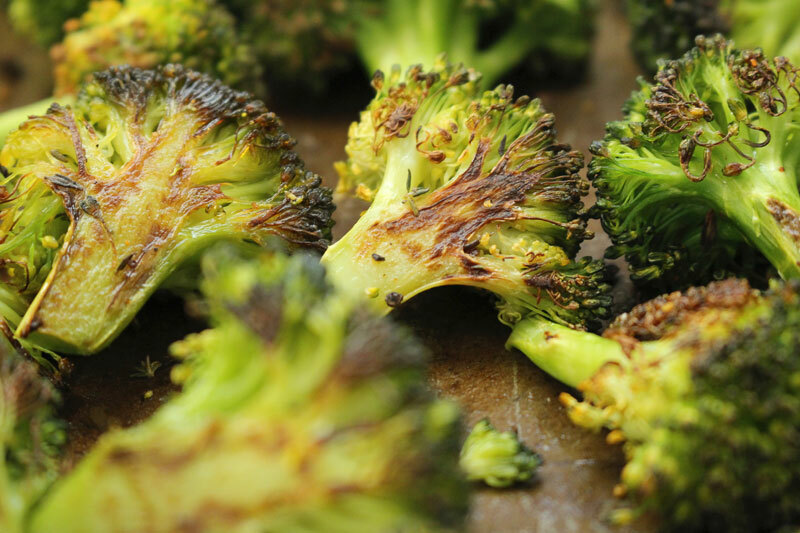 If you’re roasting, now’s the time to toss the broccoli with some olive oil, salt, pepper, and any other seasonings (like the thyme I used this week). Pour them out onto a baking sheet. 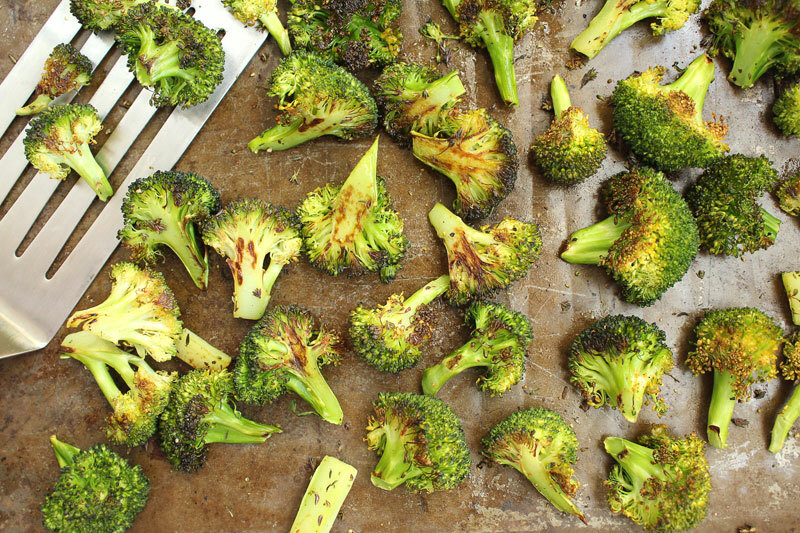 I usually do about a head of broccoli per person, because we reeeally like roasted broccoli. Scoop them off the tray and serve just like they are. 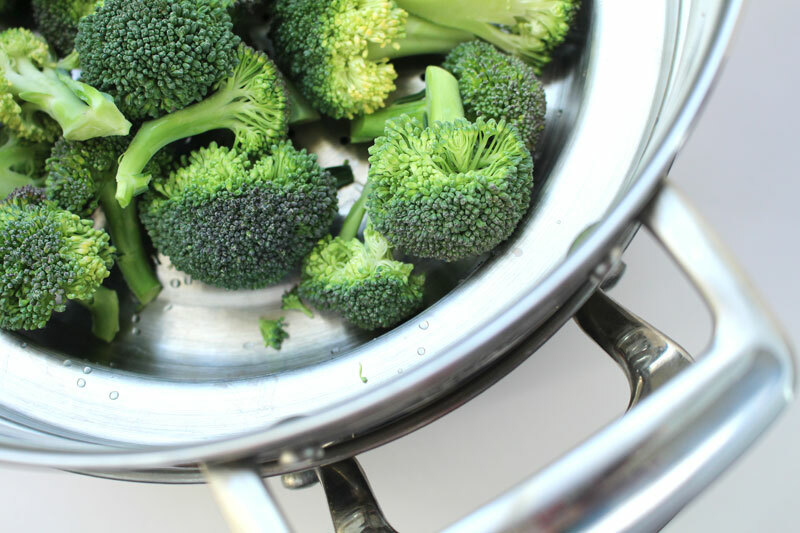 If you’re boiling, plunk the broccoli in a pot that’s got some water in it. 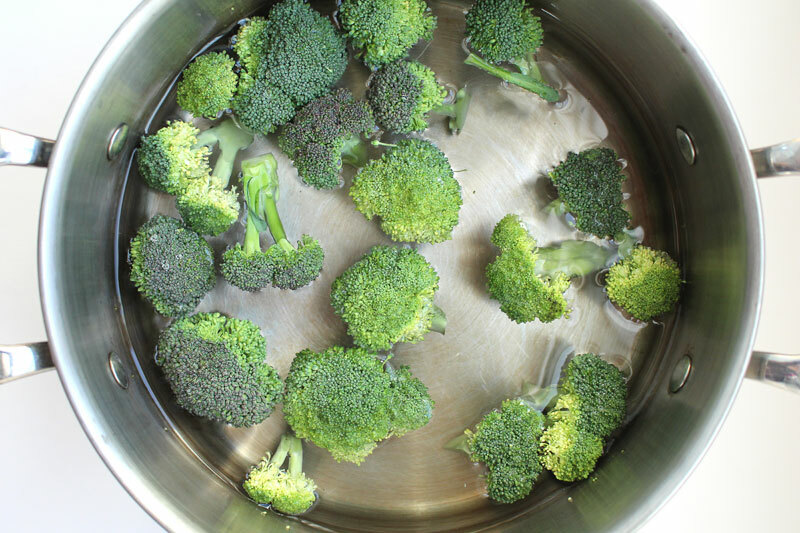 My method for boiling is to put broccoli into cold water and bring it up to a boil. It will cook for just a few minutes (around 3-5). I like to salt the water for veggies like this, because, as with pasta, then you are able to flavor the food itself. You are not obligated to do this though. 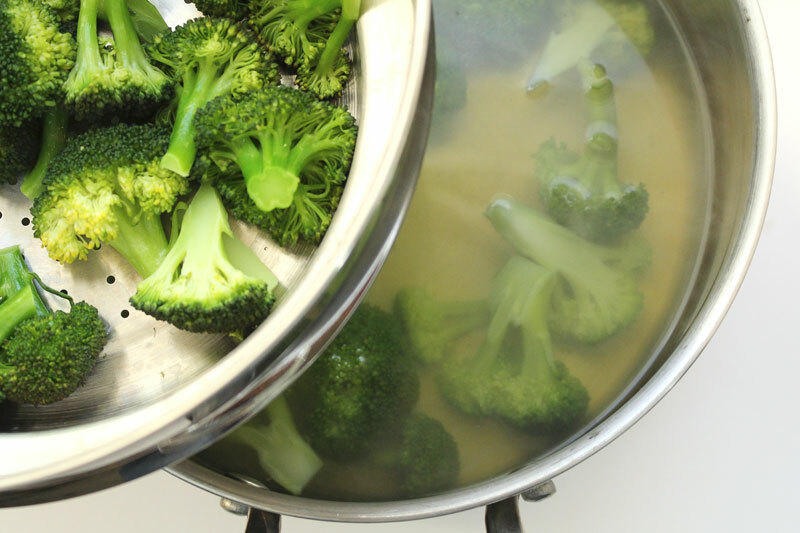 If you’re steaming, place the broccoli in a steamer basket above a pot with about an inch or inch and a half of water in it (and if you’re doing like I did, steaming and boiling, use the boiling water that’s cooking the broccoli to steam the second floor broccoli). 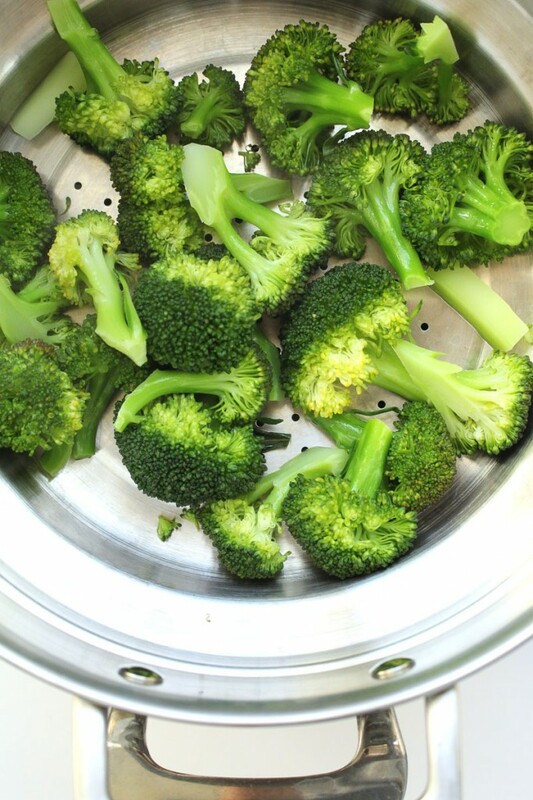 I like to place veggies in the steamer and bring the water up to a boil. It makes for less steps and fewer minutes spent watching the pot to see if it’s boiled. Once the water has boiled it will take about 4-5 minutes until they’re tender. Less time if you want a bit of a crunch, more time if you want them really soft. From left to right we have steamed, roasted, and boiled broccoli. I love the difference in color that results from each cooking method. 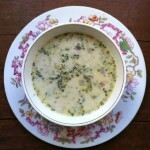 Each technique is fairly simple to prepare. Roasting takes a bit longer, because you have to wait for the oven to pre-heat. But, like I said earlier, I enjoy the results best, so it’s worth the wait. 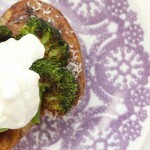 However, even I could get tired of roasted broccoli, so I love to change it up. 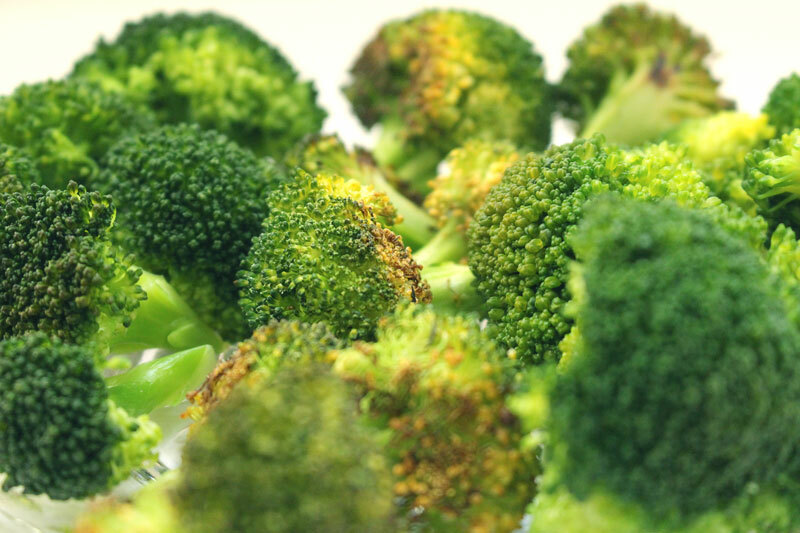 Broccoli, be it roasted, boiled, or steamed, will go well with pasta (I really enjoy this pasta that gets topped with a fried egg), on sandwiches, topping a roasted potato, alongside polenta, risotto, or roasted chicken. 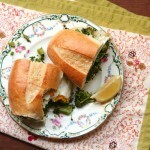 It’s great topped with chopped almonds, red pepper flakes, and lemon juice. 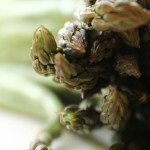 It is delicious in a stir-fry, alongside some fried rice. 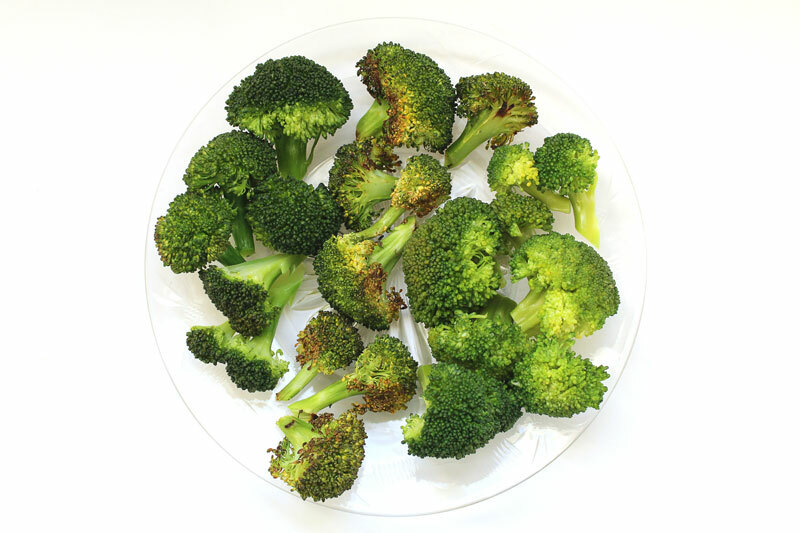 Or, never underestimate a big plate of broccoli, just on it’s own, with a drizzle of good olive oil, some shaved parmesan cheese, a sprinkle of salt, and some freshly ground pepper. Can you guess what I’m having for dinner tonight? !